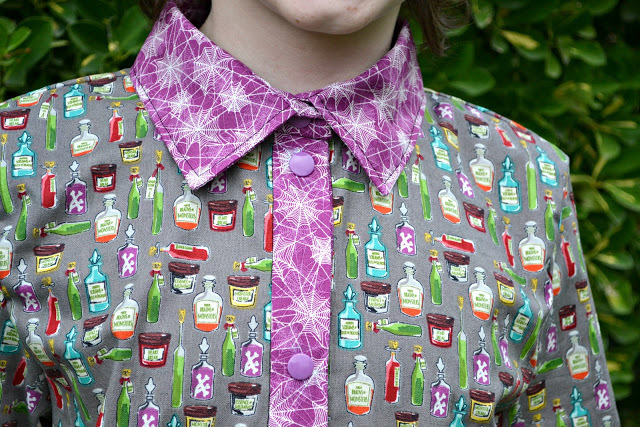 Halloween is just around the corner and Karly from PAISLEY ROOTS is inspiring us to get ready with these absolutely adorable dresses made with fabrics from Carta Bella’s Haunted House fabric collection. The black and white stripes are beautiful on their own and make this a classic dress that can be worn not only for Halloween, but year-round. 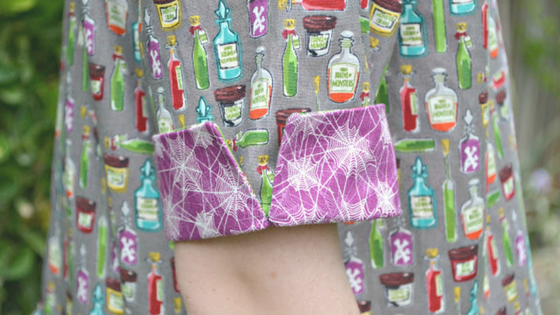 We LOVE this fun dress featuring the Apothecary and Spiderweb prints! Hop on over to PAISLEY ROOTS for more photos and details about these fun projects! You can also catch up with Paisley Roots on Instagram @paisleyroots. Haunted House is available now at your favorite local and online quilt shops, so pick up yours today and share your seriously spooky projects with us on Instagram using #rileyblakedesigns.